Support SATA connectors on your motherboard. Convert 2 internal SATA port into external ESATA port. 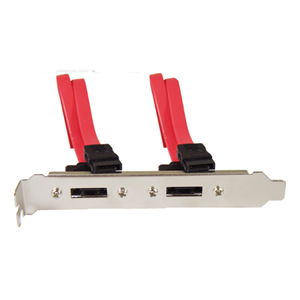 Convert internal SATA port into external ESATA port.